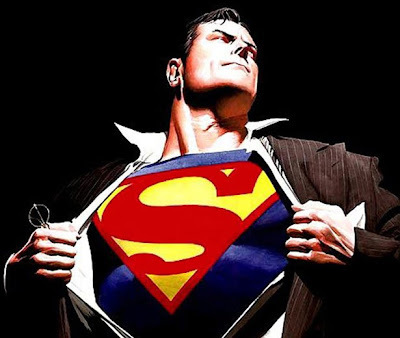 It is officially 'Superman's Week' - Christopher Nolan has confirmed to the LA Times he is getting an all new Superman movie off the ground - and he couldn't be more excited. 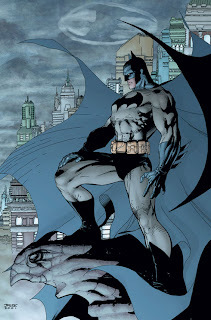 What's more the idea was presented to him by frequent collaborator David S. Goyer, during a roadblock in figuring out what to do with the current Batman line of films - the third of which Nolan revealed, is also in it's initial stages. 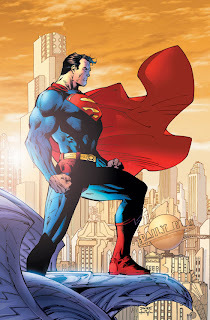 With Goyer's new Superman screenplay branded 'top secret' Nolan did reveal the film will tie to it's predecessor's in one small way; the fact he hopes to cast fantastic actors into even the smallest of parts. A move he feels really paid off for the 1978 classic Superman. As a 'fan-boy' himself, the care Nolan has for these characters is shown when his attention turns to the future of Gotham. After the amazing success of The Dark Knight, many would line up a range of sequels to milk the resulting box-office benefits. Not Nolan though - he wants just one. “Without getting into specifics, the key thing that makes the third film a great possibility for us is that we want to finish our story.” Confirming Jonathon Nolan is "hard at work" on a third script, he continues “And in viewing it as the finishing of a story rather than infinitely blowing up the balloon and expanding the story." Nolan on Superman?!? I can't really see that, but he's done such a marvelous job on the Bat-Films, he deserves the benefit of several doubts. Yeah - I'm thinking it's going to be a stretch to go from the darkened alley's of Gotham, to the golden skies of Metropolis too - but like you say, who knows! If he can put the same human heart into things, and then ramp up the fantastic, Superman could be right back on top again.